David Pedrick bikes the five miles from Adair Park to his office. He has logged his 35-minute bike ride on Georgia Commute Options since 2014. Like so many in Atlanta, Yeou Jih grapples with choosing how she will get to work every day. In the wake of the Interstate 85 bridge collapse, that decision has become even tougher. Georgia hopes to help commuters decide on transportation that’s better for the environment – and roads – with an incentive program. Jih, who commutes from Norcross to her job downtown at the Atlanta Mayor’s Office of Sustainability – a distance of 22 miles each way, was looking for options when she stumbled upon Georgia Commute Options. “Making the trek to City Hall in Atlanta is a little bit of a ways, and I was looking for better ways to do it,” she said. A City Hall coworker told Jih about GCO, which pays people to take green commutes to work. That includes carpooling, public transit, vanpooling, biking, teleworking and walking. Program participants who start clean commuting earn $5 for every trip, up to $150, and are eligible for a monthly drawing for a $25 Visa gift card. To be eligible, people must live in a 20-county metro Atlanta region and change their current commute. Then, residents just log their commute activity on the program’s website. “I thought that was a really great way to make a little bit of money and try and force myself to be a little bit more sustainable,” Jih said. She signed up in January, and in the first few weeks of participation, Jih started regularly carpooling with a neighbor and teleworking. GCO hopes that more solo drivers take advantage of the $5-a-day offer to change their commute behavior. The program began during the 1996 Olympics when Atlanta wanted to alleviate traffic congestion. It receives funding from the Federal Highway Administration’s Congestion Mitigation and Air Quality Improvement program, which focuses on areas that don’t meet air quality standards. In metro Atlanta, that includes the 20-county region of Barrow, Carroll, Cherokee, Clayton, Cobb, Coweta, Dawson, DeKalb, Douglas, Fayette, Forsyth, Fulton, Gwinnett, Henry, Newton, Paulding, Pike, Rockdale, Spalding, and Walton. The program has 7,000 “active participants,” or people who interact with the system. Vojdani said participants save 550 tons of pollution every day. Ellis lives in Chamblee, so to get to his job at software company RouteMatch in Midtown, he drives the 2.5 miles to the Doraville MARTA station and takes the train. His commute takes 40 minutes each way. 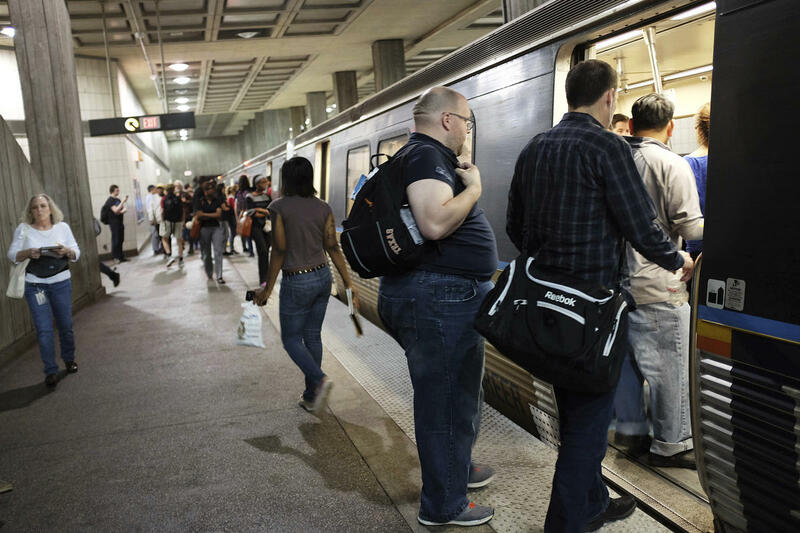 Of all commuters who use alternatives, 11 percent ride the train, according to the GDOT survey. Another 9 percent ride the bus. The smallest share of clean commuters – just 4 percent – bike or walk to work. That’s not surprising in a metro area where the average commuter distance totals 18.3 miles each way, according to the GDOT survey. David Pedrick bikes the five miles from Adair Park to his work at environmental consultant Southface, right by the Atlanta Civic Center. Since 2014, he has logged his 35-minute bike ride on GCO. 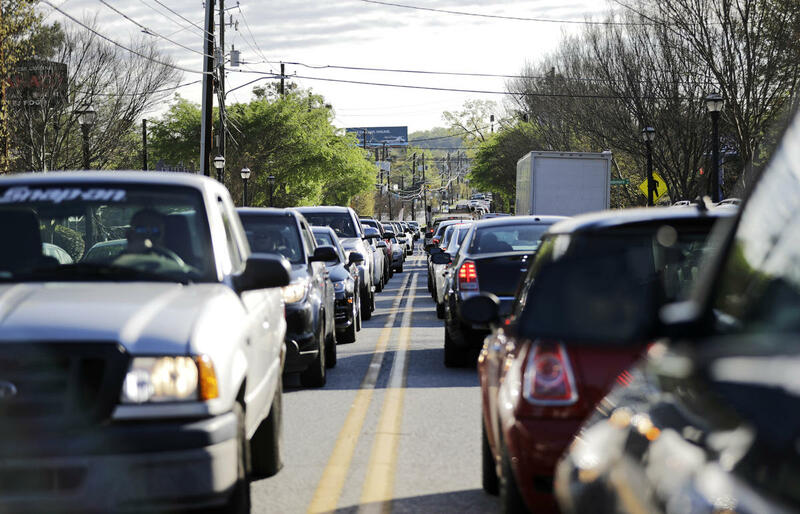 Telework proves the most popular commute option in Atlanta. After GCO members finish the $5-a-day program within their first few months, 85 percent of people continue their clean commute behavior, Vojdani said. “It incentivizes them to try something new and then once they get used to it and find the best commute alternative that works for them, they continue that behavior,” she said. That figure includes commuters who may have reduced or increased their frequency, or changed to another clean commute mode. Jih no longer carpools very often to City Hall. GCO allows users to search for fellow carpoolers, but only one other person lives in Jih’s area who drives to the vicinity around City Hall. Like Vojdani, Jih wants to encourage people to sign up for GCO and try clean commuting.